Written on September 28, 2010 . Posted in Announcements + Updates, Fine Arts, Updates from & for Faculty. 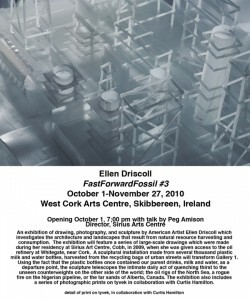 An exhibition of Ellen Driscoll’s FastForwardFossil #3 is on view at the West Cork Arts Centre in Skibbereen, Ireland October 1-November 27, 2010. 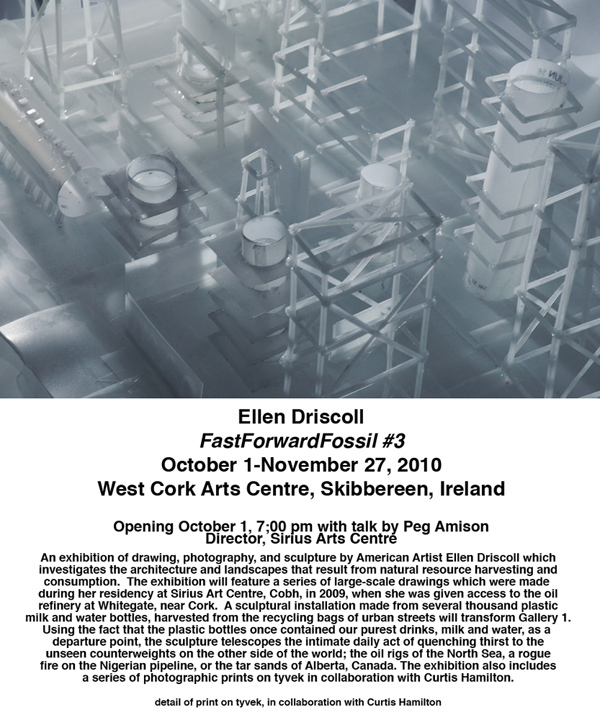 This third stage of Driscoll’s ongoing project that tackles the impact of consumption on landscape and environmental health includes drawings, photography, photography and a sculpture made of thousands of plastic water and milk containers.